This section will include special topics about Mormon history. 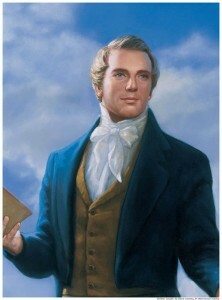 Joseph Smith Sr. tried hard to provide for his family, but evil-hearted men often took advantage of such an honorable character. Early in his marriage to Lucy, Joseph Smith Sr. invested heavily in ginseng root, which grew wild in Vermont, to export to China, but his profits were stolen by Mr. Stevens from Royalton. The Smith Family was doing very well financially, when the town they lived in was struck by typhoid fever, and they had to spend all their savings on medical care for their children. Soon after, upon moving to Norwich, Vermont, three successive years of crop failure impoverished them even more. The third year they were in Vermont, 1816, saw a year with no summer, and caused a mass exodus from Vermont to other, more fertile areas. Many of the early converts to the Church of Jesus Christ of Latter-day Saints suffered and sacrificed much. Here, in their own words, are some of their stories of crossing the plains to enter the Salt Lake Valley, of their time spent at Winter Quarters, of helping to establish Zion in the West, and of the work of the Mormon Battalion. As the Saints began to arrive in the Salt Lake Valley, they had to begin their lives from square one. They explored their surrounding areas, began to build homes and buildings, created a currency, organized a government, and began providing ways for fellow Saints to gather to the Salt Lake Valley. With the coming on of the Great Depression, Church leaders recognized an apathy and idleness developing in some of the struggling members. In order to make sure poorer members did not simply live off of the government, Church leaders instituted the Church Welfare System to “help people help themselves.” The system is still in place today.